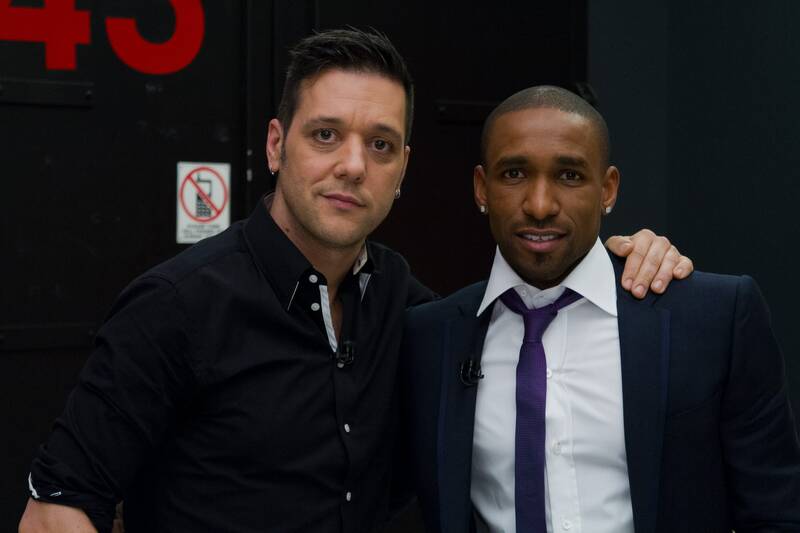 Jermain Defoe and George backstage. 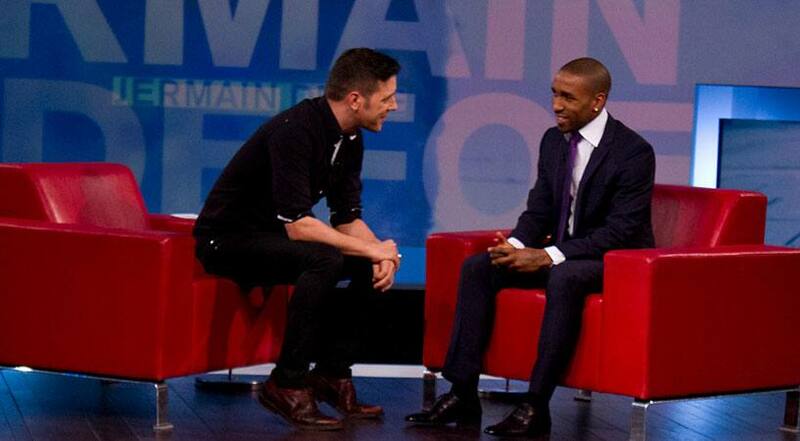 Jermain Defoe on George Stroumboulopoulos Tonight. 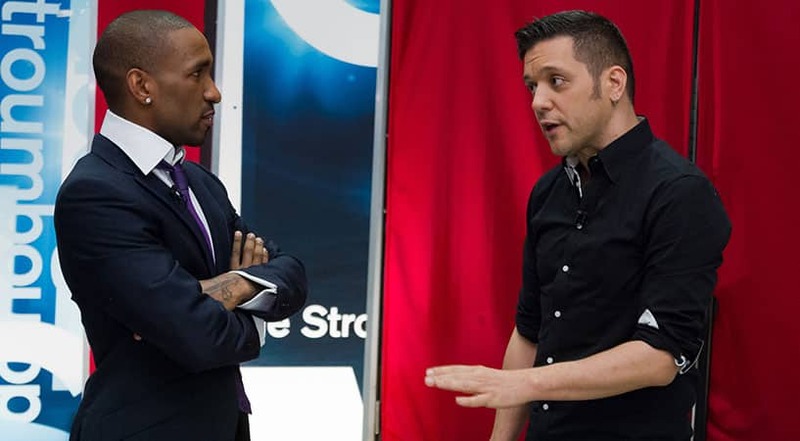 When the Toronto FC soccer club rebuilt for the 2014 season one of the cornerstones was Jermain Defoe, a striker who also plays for the English national team. Defoe made his England debut in 2004 and has made 55 appearances, scoring 19 goals, including two appearances and a goal at the 2010 FIFA World Cup. 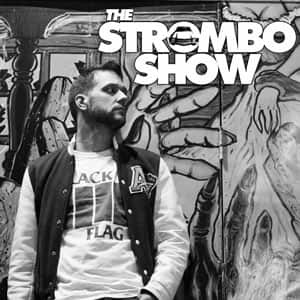 His courtship from Maple Leaf Sports included a phone call from Drake and a planned run-in between LeBron James and his mother.